One of my favorite things about the holiday food season is the abundance of brussels sprouts. Maybe it's because there is something about their greenness or look that suggests harvest time, or possibly it's just that they pair so well with bacon, but from Thanksgiving through to New Year's, I always expect to see sprouts in some form or another. One way I hardly ever encounter brussels sprouts though is fried. Sure, the leaves fry up nicely (as I've already reminded you), but I hardly ever see them fried whole. Why is that? Their tiny cabbage-like structures mean that deep frying them results in crispy layers and a tender center, both crunchy and pleasantly al dente all in one bite. You could achieve a similar effect with a long roast at high heat, but the other advantage of frying is you can cook these in minutes. And then, you could eat them generously salted and call it a win, sure, but why do that when you can also add a creamy, tangy dressing and a snow shower of parmesan to round it all out? I vote for this approach. I've shown these tossed in the dressing, but you could certainly serve these as a finger food or with toothpicks, with the dressing as a dipping sauce on the side. Heat 1 inch of oil in a large cast iron pan. While oil is heating, pat brussels sprouts dry with paper towels. You want them as dry as possible before adding to the hot oil. 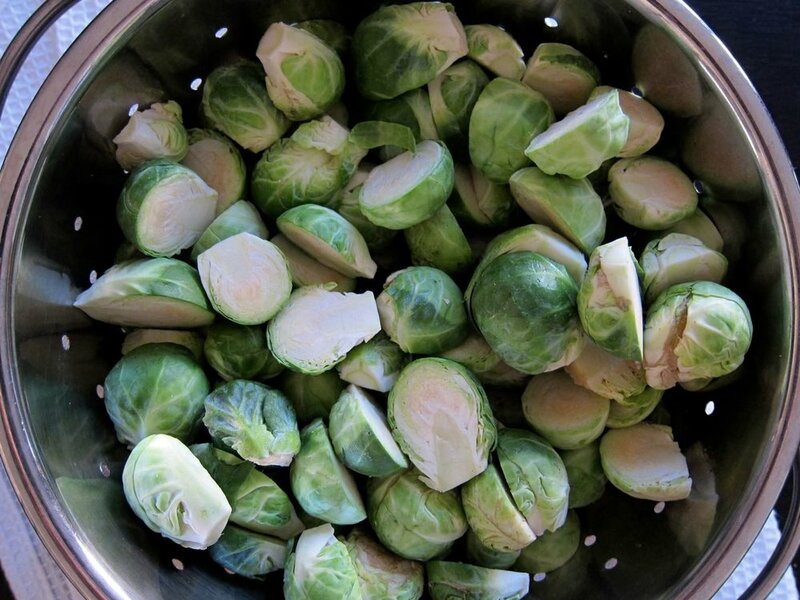 When oil reaches 350-375 degrees, fry brussels sprouts in batches, 2-3 minutes. Drain on a paper-towel lined baking sheet. Toss brussels sprouts with the dressing in a large bowl, transfer to serving dish and garnish with grated parmesan, if desired. If brussels sprouts are cooled when you are done frying all the batches, you can rewarm on a baking sheet in a hot oven for a few minutes to re-crisp before tossing with dressing.